The Corner Market is a huge food hall (1,200 sq. m. to be exact) in The Podium snuggling an interesting assemblage of restaurants and produce shops (Catch of the Day is there for your seafood needs, Gusto for the flower, fruits, and vegetables, and Meat Depot for the cold cuts). There are around 14 stalls enlivening the space. They’re curated and each carries their own personality. One of them is Inari. Inari is squeezed in between Barcelon de Calderon and Ca Phe Saigon, in front of La Taqueria Del Chupacabra. 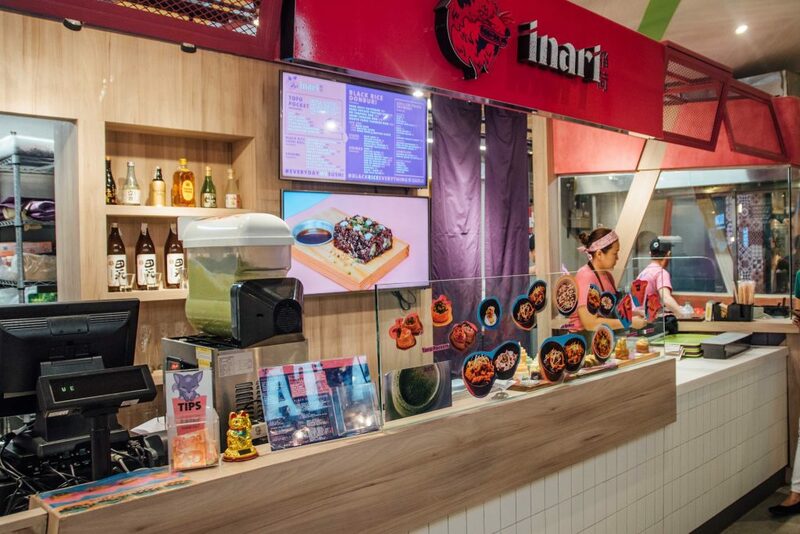 Inari is the little sister of Hamaru, a Japanese fusion restaurant in a food park in Quezon City (which, unfortunately, just closed down). 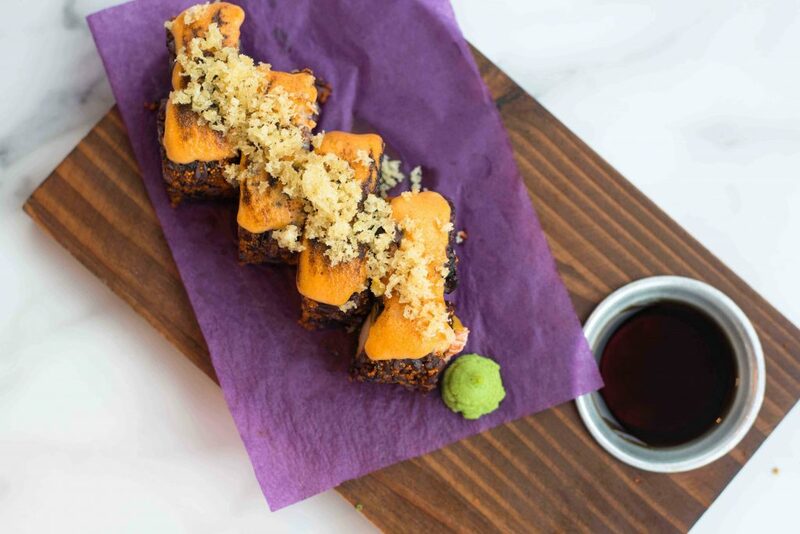 It boasts a new dish leading to the restaurant’s name—inarizushi, a fare that tastes as comforting as its form. 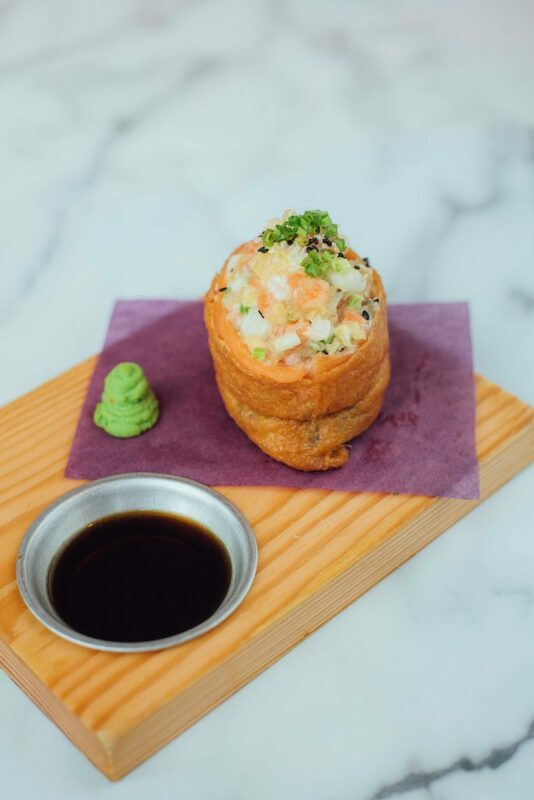 Salmon Submarine inari is a brimming pocket of black rice, chopped toppings with Japanese mayo and shreds of salmon. Can’t get enough fried stuff? Relish a crustacean with their Crab Tank with fried crab, kani salad, enriched with aligue or crab fat mayo. Unlike your usual sleekly-rolled maki or impeccably-portioned nigiri, Inarizushi is a bean bag-looking snack made with a pocket of sweet deep-fried tofu known as inari, which is filled with sticky sushi rice. It’s named after the shrines found in Japan dedicated to the Shinto god of fertility, rice, and agriculture. Folklore says that the messengers to these deities are foxes that feed on inarizushi. Inari’s Salmon Submarine tofu pocket is a delectable stout bag that teems with chopped toppings, black sushi rice, and shreds of salmon on the sides. Instead of using a regular mayo, of course, they used a Japanese one, hence, the light but satisfying texture and mouthfeel. For their Crab Tank, on the other hand, they loaded the fried tofu pocket with kani salad and black sushi rice. 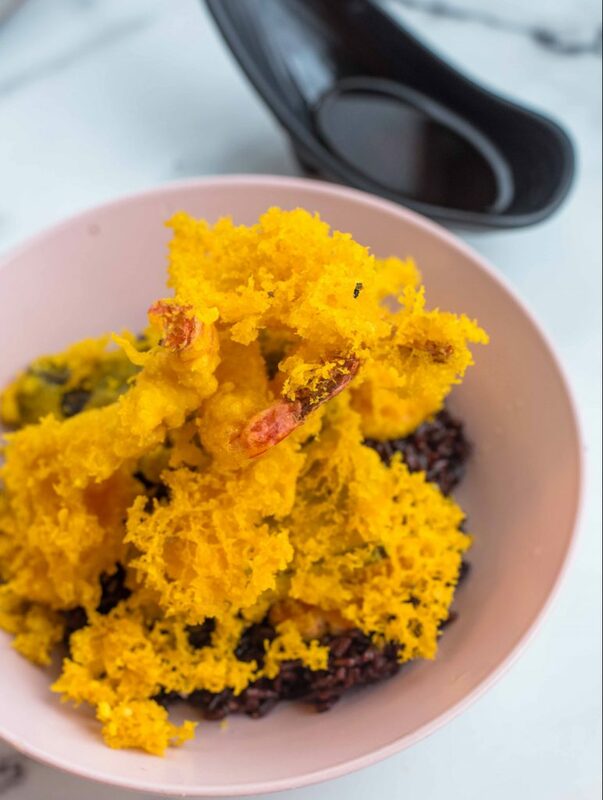 It’s topped with soft shell crab and ebiko, which gives a pop of color to the dish. They also uses aligue mayo or crab fat mayo to enrich it. 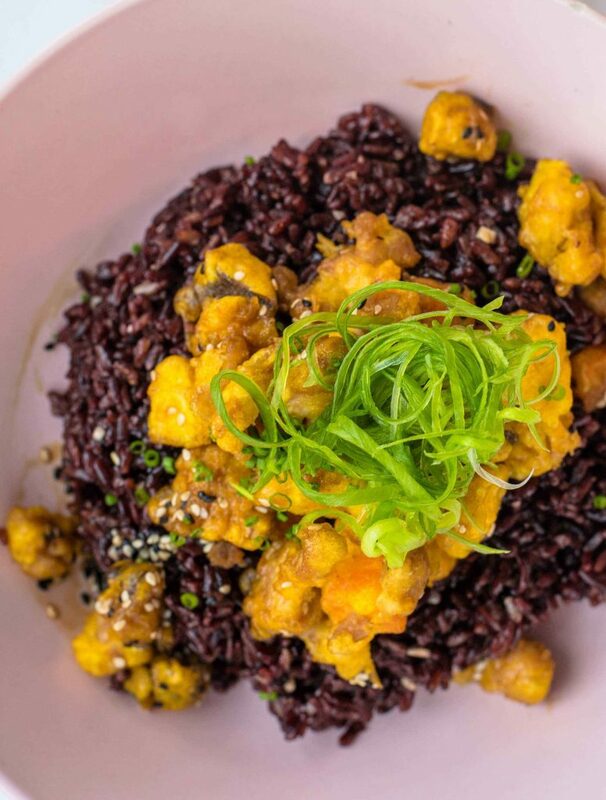 Inari puts the spotlight on black rice, so they also use this healthier alternative on their sushi rolls and rice bowls. 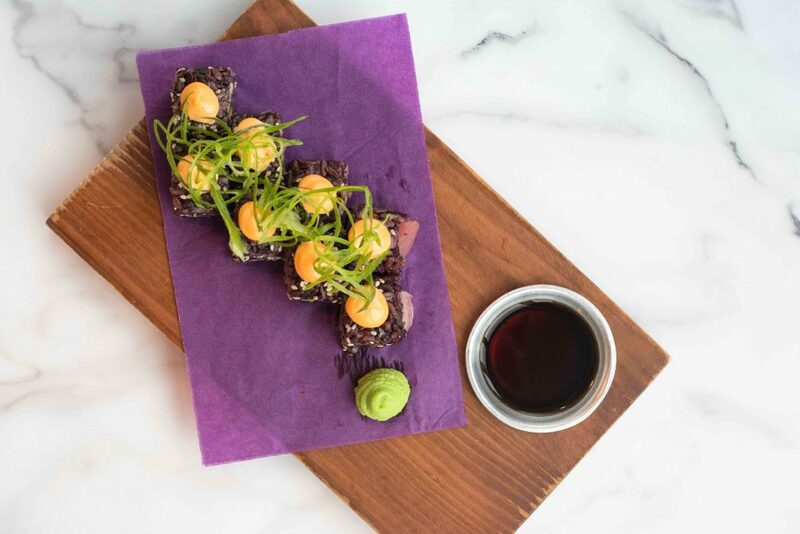 Their sushi rolls are straightforward, but you may want to try the torched California maki as it’s also covered with aligue mayo. For a heavier meal, go for their rice bowls—chicken teriyaki or ebi tempura, depending on your mood. They also have a spectrum of skewers—from chicken to pork to beef to mushrooms. 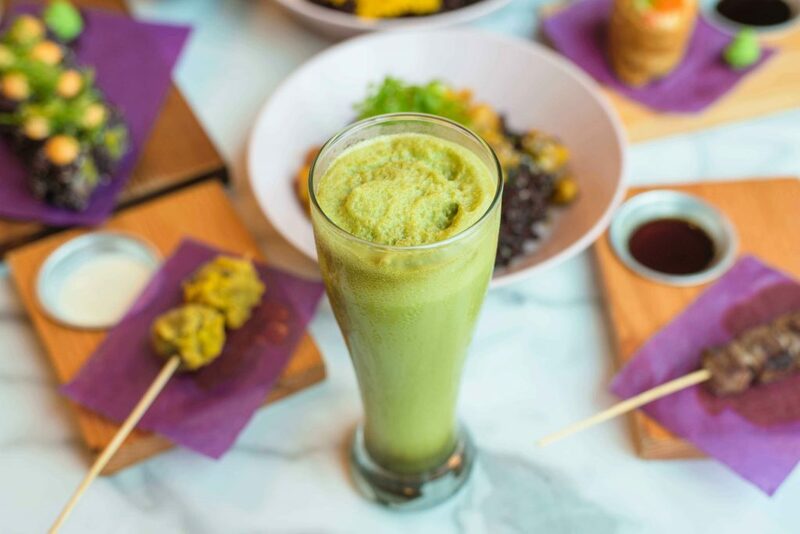 Finally, cap your Japanese gastronomic adventure with a matcha slush, which isn’t as sweet as the other restaurants’, if you’re feeling too umami’d up. Too much umami? Cut the flavor with their matcha smoothie. 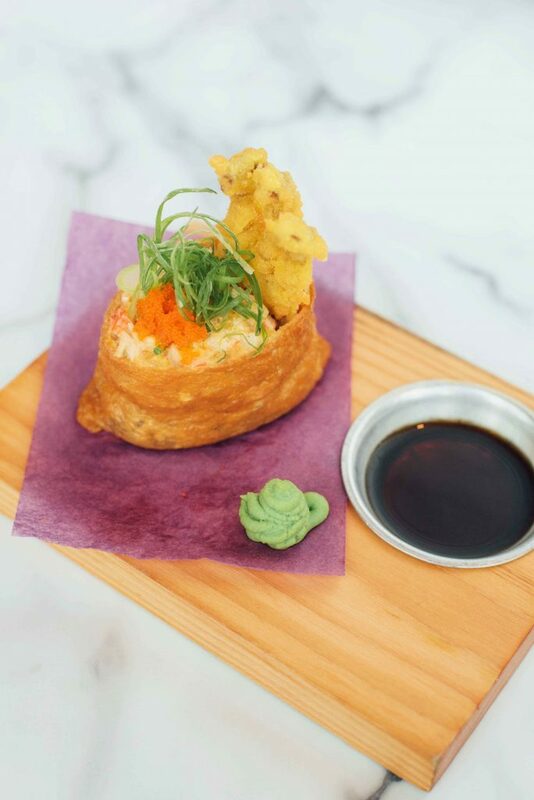 Go for the Crab Tank, an inari that brims with kani salad and black rice, finished with fried softshell crab and ebiko. It's also blended with aligue or crab fat mayo.